programs we made on the ST, including some never before released stuff. 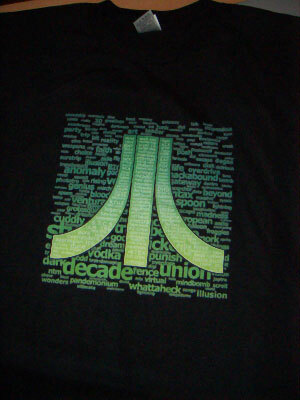 celebrate the Atari ST demoscene (and will make you the highlight of any party for sure !). - Music Box : A collection of all the wonderful music Dma-Sc has created for this collector. artists of Dune. Pure nostalgia. - Toy Box : Some highly funny-useless-entertaining programs for your enjoyment. and Anthology.avi already released a few days ago. The Toy Box section features a remake of their Illusion demo with some really nice graphics. these Fuji t-shirt PNGs are outstanding ... !!!! as well as the whole ISO - already mentioned that AVI! Many thanks Dune for this release ! the endpart of anthology.avi is absolutely amazing. Cool to have that on a CD. Oh, I didn't thumb this yet? Awesome release, always great to have a full group release history in one piece. Also props to Mic for the great graphics. Can't run the "exe"-files (no Windows around here), but i just love the AVI and the rest of the package is totally cool as well. when I run the exe file, the picture appears, then nothing? Is that it? Nice collection though, but I dont see the point of the EXE if its not gonna run the stuff for you. Fantastic stuff, even if I wasn't ever interested in Atari ST stuff. Still I loved the anthology vid and pc stuff - t-shirt designer is great and screensaver will be a real longrunner on my pc. More stuff done from heart like this, please! super initiative les gars!! the perfect DUNE compagnion! 2- Crash in Win7, even in Vista compatibility mode. Crash in Vmware with either Windows XP, Vista or 98SE. page created in 0.018321 seconds with 15 queries.